Think of a word and your fingers get it typed!! That is what practicing with this tutor helped me achieve. Once you train your brain consciously, with practice, typing comes naturally! Please click the play button on the avatar host below and watch this important video introduction. Read the WRITTEN INTRODUCTION or scroll to watch the video intro beside the keyboard below. Beginner Typing Lesson 1 has two parts. 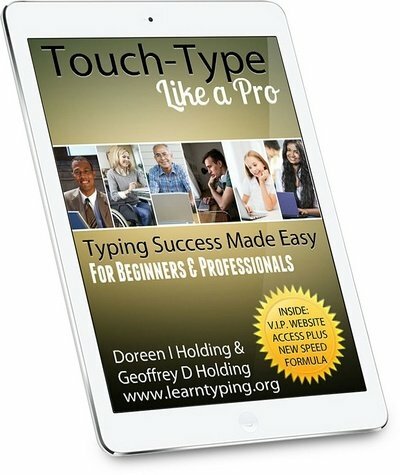 If you have never done typing before or taken typing lessons or if you are a 2, 3, or 4 finger typist, you must work through EVERY beginner typing lesson, IN ORDER, so that you can lay a GOOD TYPING FOUNDATION for your typing success. The first image below shows the overall keyboard layout for a QWERTY keyboard. The second image shows the Home Keys for the left and right hand. A S D F on the left and J K L ; on the right. They are called the Home Keys because these are the keys your fingers must return HOME to after typing any other key. On the Learn Typing course your right index finger will type using all the RED keys (no. 1 red) and your left index finger will type using all BLUE keys (no. 1 blue). Most computer keyboards have small bumps on the F and J keys to help find them without looking. As you progress through the beginner typing lessons, you will learn the correct finger position for all keys. For Video Instructions, scroll to Exercises 1 section below. You're about to learn typing. Move the mouse cursor (pointer) over the first blue exercise box (below). Now click the left mouse button and you will see the cursor 'blinking' inside the box. You are ready to start typing. With your fingers over the HOME KEYS, copy the text from ABOVE each exercise box by tapping the same key on your keyboard. ALWAYS USE THE CORRECT FINGER POSITION. We will start with left hand. 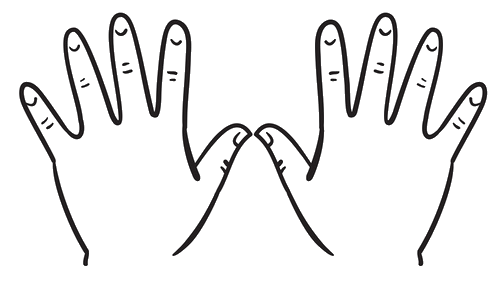 Begin by tapping the letter F with the index finger (also called the pointer finger) on the left hand. Tap F four times. Then tap the space bar once with your right thumb. Next tap D four times, then S and finally "A". Each time you have typed the letters FDSA, press the space bar with your right thumb. Do this whenever you see a space between letters. Keep copying the letters until you reach the end of the line. Now go back and repeat this exercise box (read below for a quick tip on deleting the text you have typed). With the mouse cursor inside a text box, hold down the Control Key and tap (type) the letter A. This will block (highlight) everything inside the text box. The very first letter you type will delete this text making it easy to start again. Always do each exercise box two times. Now press the TAB key to move to the next exercise box. To move to the next box, press the TAB key or left click inside the box with your mouse. 30 minutes a day for 5 days a week will give you steady gains.